The Community/Schools Partnership for the Arts (C/SPA) is a unique local group of arts leaders. It was created in 1996 as an official advisory committee to the Superintendent of Sarasota County Schools. This partnership between the Arts & Cultural Alliance and the school district is composed of school and district administrators, teachers and community arts education leaders. C/SPA focuses on internal school advocacy, with its sister organization, The Arts Education Task Force emphasizing community advocacy for arts education. These alliances have been recognized nationally by the Arts Education Partnership (AEP), the Wall Street Journal and Downbeat magazine. 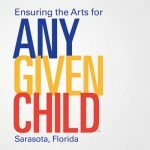 C/SPA works to strengthen arts education within Sarasota County, increasing opportunities for all K-12 students to receive instruction from arts-certified teachers. Since 1996, C/SPA has expanded access and equity in arts education, helped develop new programs and positions and recognized and rewarded exceptional teachers and administrators. The group also monitors equipment, facilities and instructional practice.